You aren’t alone among Internet citizens if you’ve been swayed by a catchy headline or evocative thumbnail into clicking on a link in a forum thread and, BAM, the next thing you know Rick Astley shows up singing his lame 80s hit “Never Gonna Give You Up” in even lamer video form. Rocketboom gives you the origin of the online phenomenon involving the UK pop star and traces it back to an adaption of the DuckRoll. Net pranksters are beginning to take the trick offline into live situations. Even Rocketboom has gotten in on the gig, punking the folks at Next New Networks during an office meeting with a lounge-style rendition of the synthesizer-backed tune. All the fans, players and officials at an Eastern Washington University women’s basketball game were the victims of another live RickRoll caper. 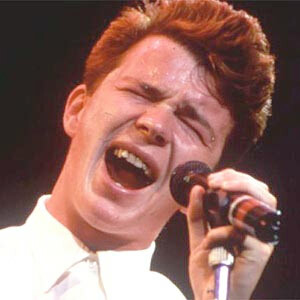 If you’d like to RickRoll your friends/enemies, here’s a link to the original Rick Astley video. Go forth and spread the viral video.